Fight bacterial infection only in intestine. Provides long lasting relief for patients suffering from IBS. 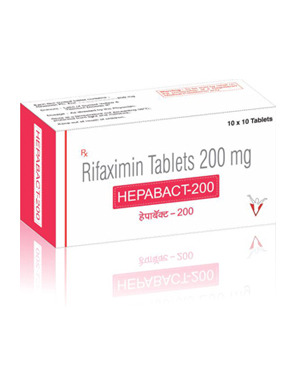 40% of parents on rifaximin experienced immediate relief from abdominal pain,loose/watery stools and bloating. Reduces the risk of overt hepatic encephalopathy recurrence in adult patients.